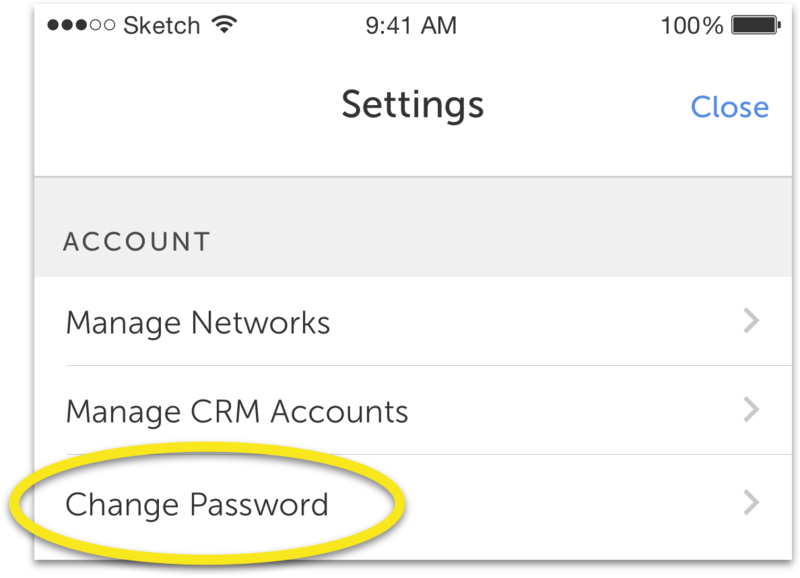 Here are a few things that will help you use the CircleBack app more efficiently. 3D Touch functionality is available on iPhone 6S and 7. To activate 3D Touch options, press firmly and hold on the CircleBack app icon. 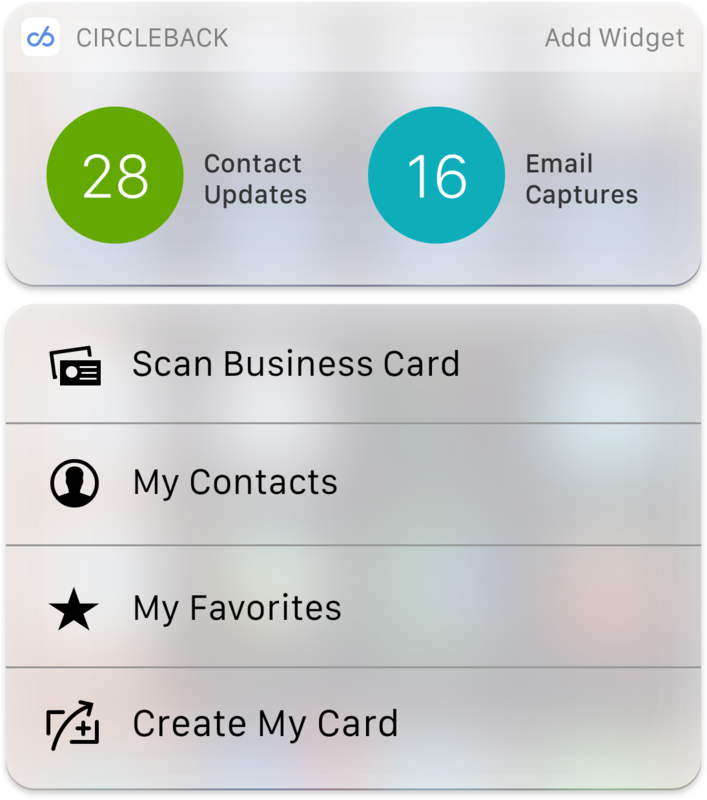 You’ll be able to quickly access your CircleBack Updates, Email Captures, Contact List, or to Scan a Business Card. CircleBack has created a widget for the Today section of your notifications center. To add it to your Notifications Center on your iOS device, press firmly and hold on the CircleBack app icon and tap “Add Widget” in the top right corner. Here, you’ll be asked to enter your current password once and your new password twice. Once you’ve done this, tap “Save” in the top right corner of the screen. Your CircleBack password is now changed.